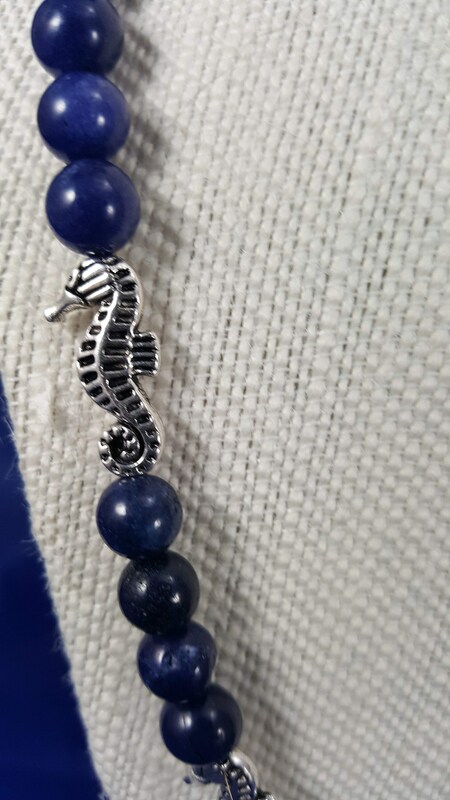 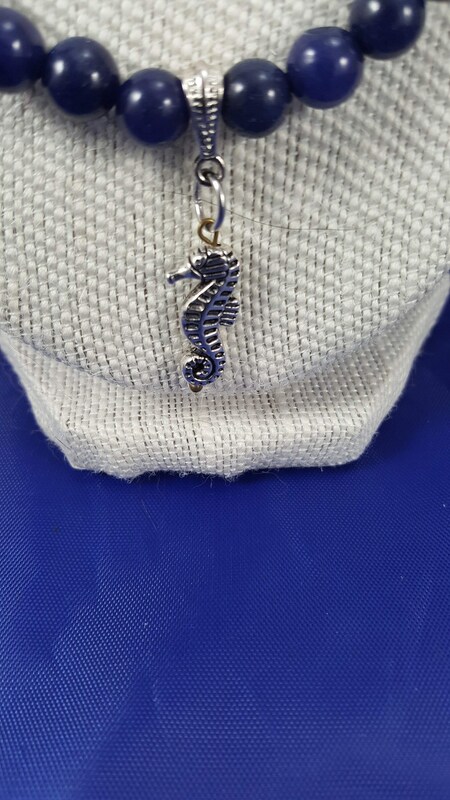 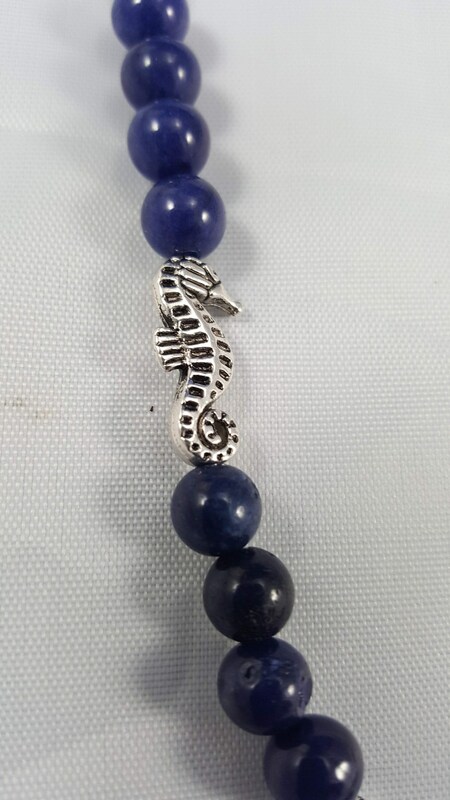 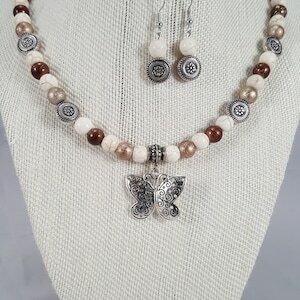 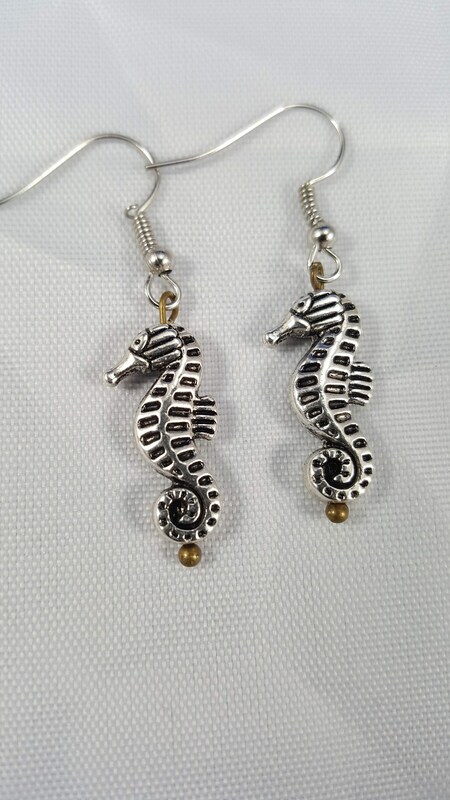 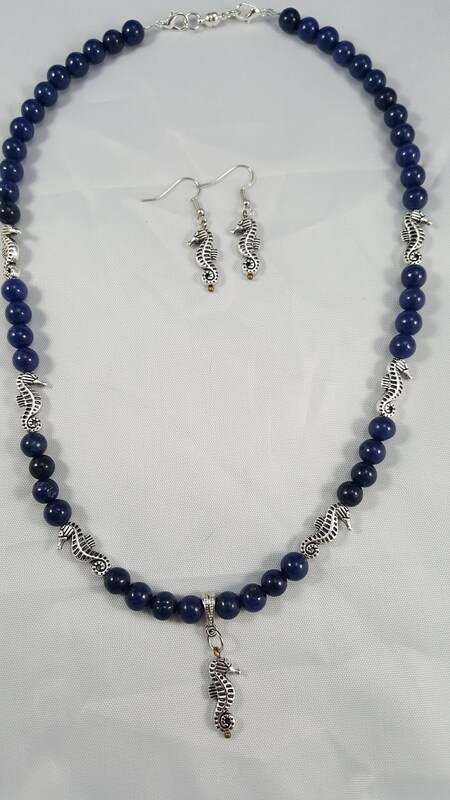 20 Premium classic Navy blue glass pearls with metallic silver seahorses with seahorse fish hook earrings. 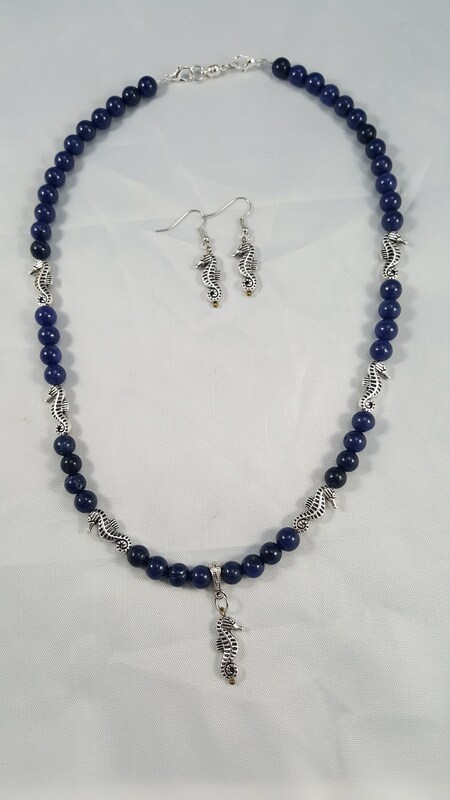 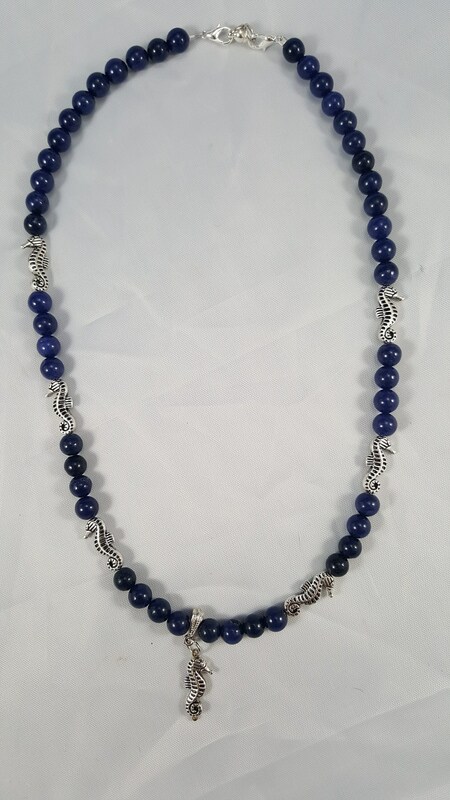 20" Premium classic Navy blue glass pearls with metallic silver seahorses with seahorse fish hook earrings. 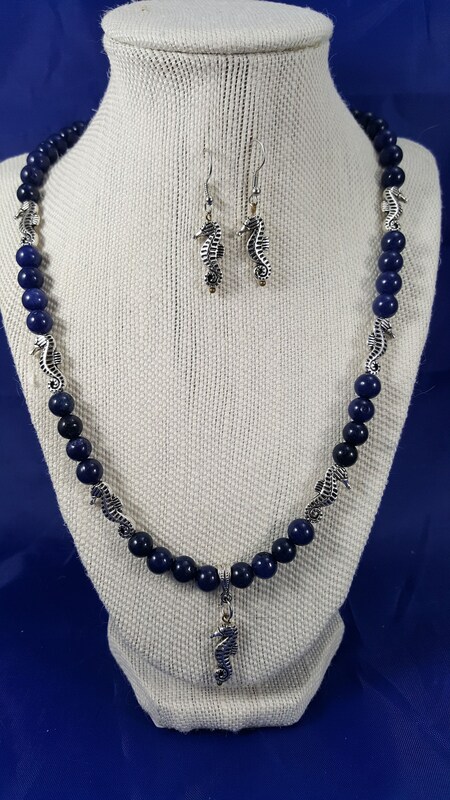 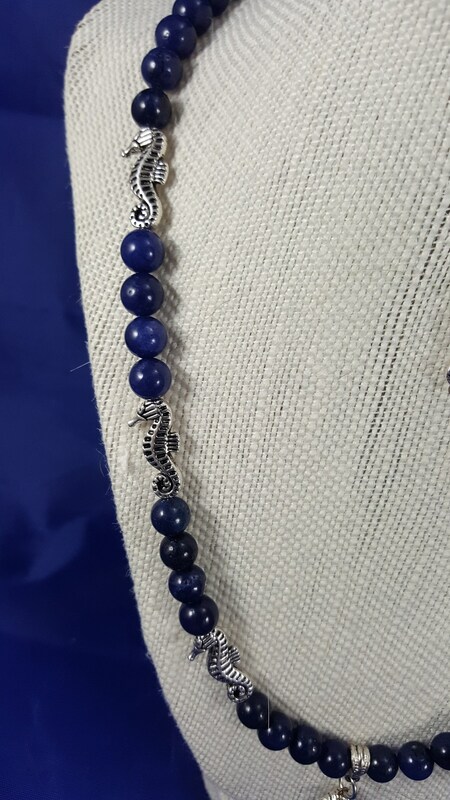 20" Premium classic Navy blue glass pearls with metallic silver seahorses with seahorse fish hook earrings for pierced ears.